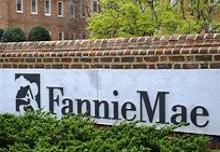 Congressman Mel Watt is President Barack Obama’s pick to be Fannie Mae and Freddie Mac’s new regulatory overlord. Last week’s Senate rule change makes him a shoo-in. But with no experience, clear political bias and campaign cash from both companies, he’s a bad choice all round. On Nov. 21 U.S. Senate Democrats changed congressional rules to prevent the minority party from filibustering presidential appointees. Historically, 60 votes were necessary to confirm nominees, but now just 51 will be needed. The new rule will not apply to potential Supreme Court justices, but does apply to other judges, regulators and other executive nominees. President Barack Obama nominated Representative Mel Watt to head the Federal Housing Finance Agency on May 1. Since then, Republicans have blocked his confirmation with the filibuster. Under the new rule, they would be unable to prevent his confirmation to FHFA director if most Democrats unite to approve Watt for the job. He would replace Edward DeMarco who has served as acting director since 2009.